What is the purpose of a mobile safety step? 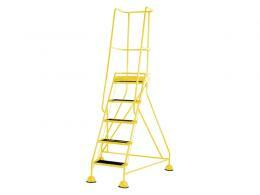 Mobile safety steps offer the extra height of a ladder, but they are designed with safety as a priority. 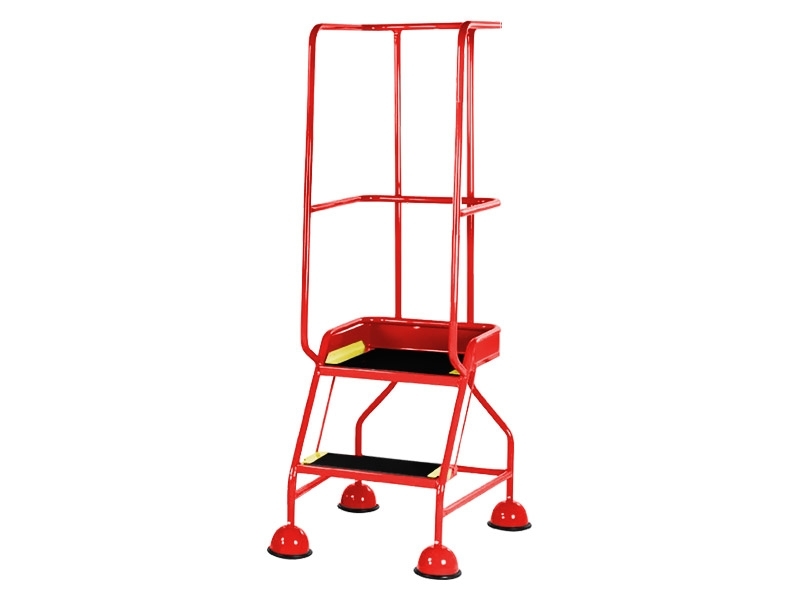 They offer the height you need with enough stability to lower the likelihood of falls and other accidents. This product has a sleek and bright feel that makes it blend into almost any atmosphere. It is strong enough to use in industrial environments, but it is also great for almost any other area that you can think of. Anyone who needs some high-quality safety steps will be happy with this item. 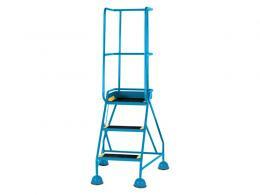 Since it comes in a variety of colours and heights, it can meet almost everyone’s needs. It can be used by industrial workers and homeowners alike. This item is a wider version of the popular step style that conforms to BS EN 131-7. We have a variety of options to pick from if you are interested in this item. 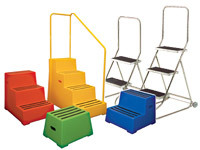 You can choose from a variety of models, including 2,3,4, and 5 step versions. You can also choose between a selection of colours, from a bold red, to a calm white, to a chic mint green. This item has anti-slip treads that offer an extra feeling of stability, so that you can work on your projects without worrying about losing your balance or falling. The maximum weight for this product is 125kg, and it is meant for one-person use. If you are not sure which of our mobile safety step options are right for you, then feel free to get in touch with us. We would love to help you find the perfect option for your business, home, or other space. Our customers are our top priority, and we want to make sure that you receive the perfect item for your needs. It is easy to reach us through chat, phone and email.